I am obsessed with this ripple pattern lately. 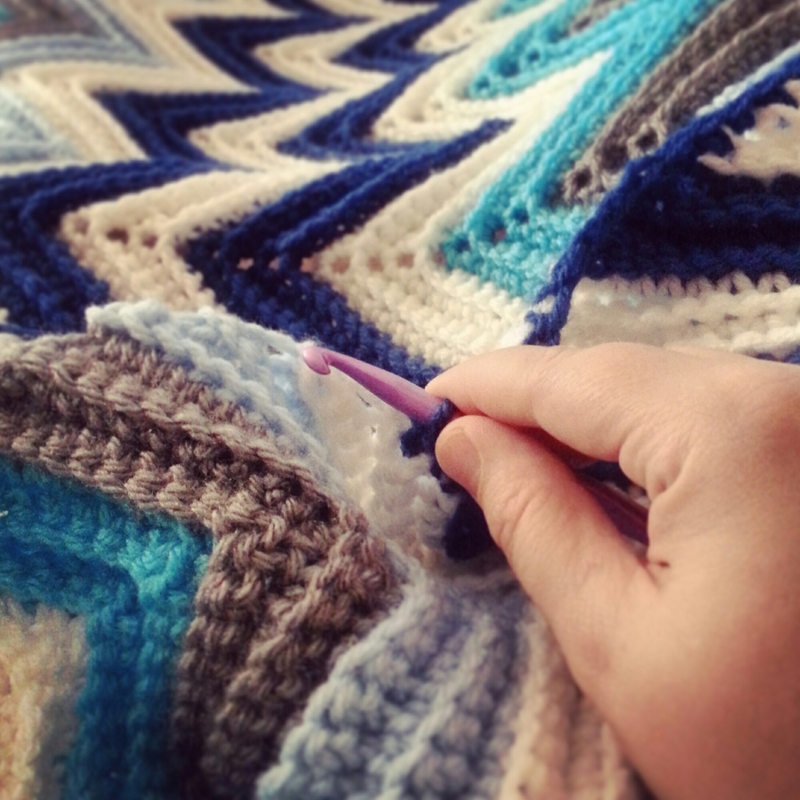 I’m working on the edging of my second blanket using this pattern in a month, and I have plans for at least one more. Full blog post with finished blanket pictures coming soon.